Hey all! Hope you all had a great weekend! So, this week the Delightful Order blog is celebrating it's 2nd birthday. I can't begin to tell you how crazy that is for me to comprehend. When I wrote my very first blog post, back in October, 2010, never in a million years did I dream it would be where it is today, 2 years later! Honestly and truly, I could not ask for a better job ~ I work from home, I make my own hours all while doing what I love to do! Sharing, designing, organizing, decorating, creating. How fun! I've shared over 320 posts regarding organizing, decorating, crafts, parties and more. My blog went from 1 google friend connect follower to over 4,000. Over 2,000 people subscribe to my posts via email and this lil' ole blog has had over 4,700,000 page-views in 2 years and has over 6,800 Facebook likes. Seriously?! I can't get over that!! I tell you this, not to brag or boast in any way shape or form, but to simply say THANK YOU to each and every one of you that subscribe, like me, view my pages and email me with your sweet comments ~ Truly I am overwhelmed and so grateful that you enjoy what you see here on Delightful Order and continue to visit and support my blog and my Etsy shop. 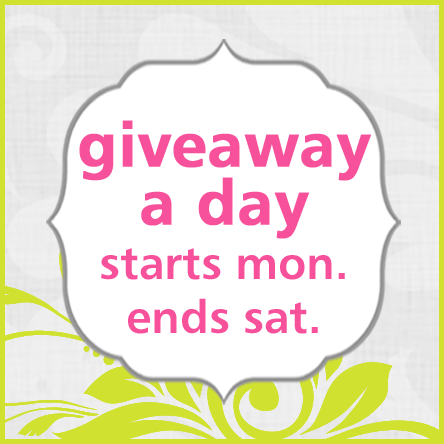 To celebrate my blog birthday, I'm doing a "giveaway a day" starting today and ending on Saturday the 20th. There will be something different every day for you to enter to win! Today is your chance to enter to win one FREE printable grocery shopping list from my Etsy Shop. I use this grocery list every.single.week and it has been wonderful! It really makes grocery shopping so easy. * Be a Delightful Order follower with Google Friend Connect (on the right sidebar of this blog) and leave a comment at the bottom of this post telling me that you're a follower. * Be a Delightful Order FACEBOOK fan or Twitter follower and leave a comment at the bottom of this post telling me that you're a fan or a follower. * PIN it on Pinterest and leave a comment at the end of this post telling me that you pinned it. * Grab the Delightful Order button and post a LINK to this giveaway on your blog or facebook page, inviting your friends to enter to win and leave a comment at the bottom of THIS post telling me that you did just that. That's it! Five different ways to enter! Make sure you leave a separate comment for each entry at the BOTTOM OF THIS POST, not on Facebook or Twitter. All of this weeks giveaways will run until Monday, October 22nd - 5:00 pm PST. I will announce the winners on Tuesday, October 23, 2012. Good LUCK to each and every one of you! Now... ENTER to win, by commenting below. AND remember to come back every day this week to enter to win all the giveaways that I'm offering during my "GIVEAWAY A DAY" week. I am a google follower and LOVE your site! You have really helped me with some great ideas. How fun that you are doing this. Yeah for your 2nd blog birthday!! I am a google follower and I love the ideas you have or organization. Thank you for sharing! I am also a fan on FaceBook. I am a gfc follower. Happy 2nd! We are your newest followers and would appreciate it if you would follow us too. Congrats on the blog birthday! I'm a GFC follower. I'm a follower. Thanks for the opportunity. I found your blog last week and spent my weekend organizing and took 2 truck lads to goodwill. My closets and kids rooms look amazing. Thanks for the inspiration. I am a google follower. Must be Google, I have you as a Favorite blog. I'm a google friend connect follower. Thanks! Congrats! I'm a GFC follower. Grabbed the button and posted it on facebook. I am a Twitter follwer. I pinned your button to Facebook. Love your site. Will definitely be getting ideas when I get my craft room done! Thanks for the opportunity. I'm a Google Friend Follower. I 'Like' you on FB. I am a follower on Google! I follow you on Facebook, I pinned you on Pinterest and I love your stuff on Etsy!! I am a follower of your blog, love it! am a long time FB follower.